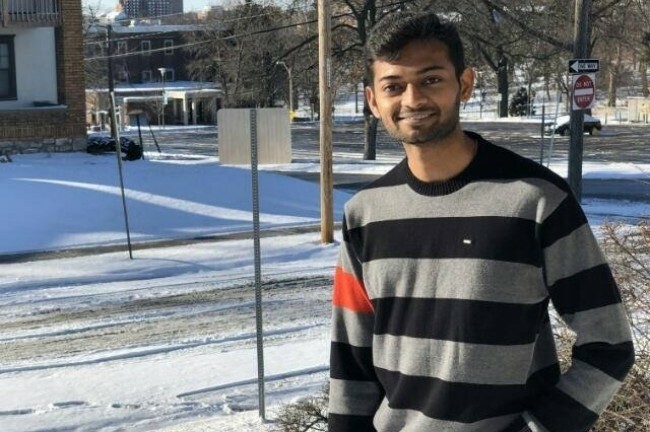 Atlanta, GA, July 7, 2018: A 26-year-old University of Missouri, Kansas City student from Warangal in India was fatally shot in the back as he ran from a would-be robber at the restaurant where he worked, reports the Kansas City Star. Sharath Koppula, was critically injured when the man fired at him at about 7 pm last Friday. He was rushed to a hospital, where he succumbed. Police released a video of the suspect inside the J’s Fish and Chicken Market restaurant moments before the shooting, and have asked the help of the community in identifying the killer. Sharath hailed from Warangal town. After engineering, he was employed at a software firm in Hyderabad. He moved to the US to do MS this year. “He had a great sense of humor, always made people laugh and was always eager to lend a helping hand,” said a GoFundMe account set up by his cousin. Sharath’s father Ram Mohan, who is employed in BSNL, has appealed to Foreign Minister Sushma Swaraj and Telangana’s NRI Minister K.T. Rama Rao to help in bringing the body home. Koppu was related to the owner of J’s Fish and Chicken, which has three locations in Kansas City, according to media reports. Three or four customers were in the store at the time of the attempted robbery, as well as several employees behind the counter, a restaurant worker told Kansas City Star.